GRAND RAPIDS January 8, 2014– Unemployment numbers in Michigan may be trending downward in recent months, but for many, wages remain stagnant, social service programs that offer financial and food assistance are being cut, and families are having to work longer hours just to keep food on their tables. 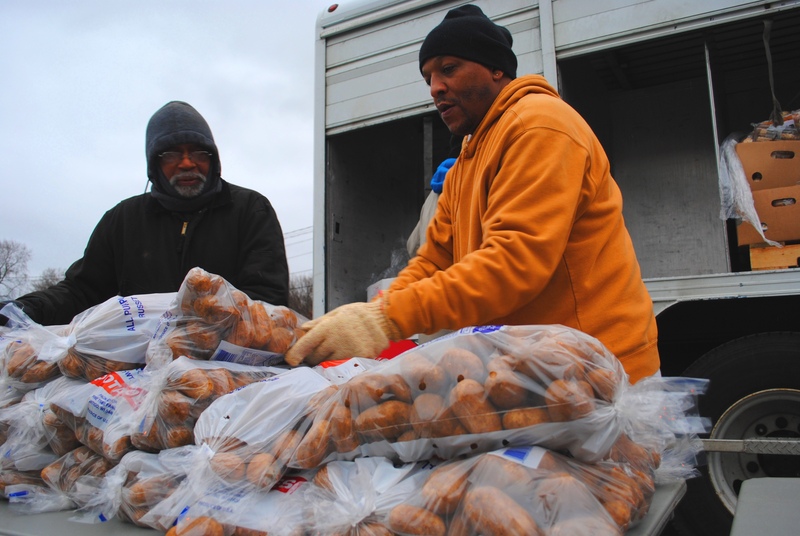 In 2013, the leadership of the Kent-Ionia Labor Council decided they needed to do something to help people who were struggling with food insecurity here in West Michigan—many of whom had jobs, but couldn’t quite make ends meet in this new economy. And that’s when they decided to team up with Feeding America West Michigan to host monthly food trucks, to bring fresh produce and other food items directly to the neighborhoods around Grand Rapids that needed it most. 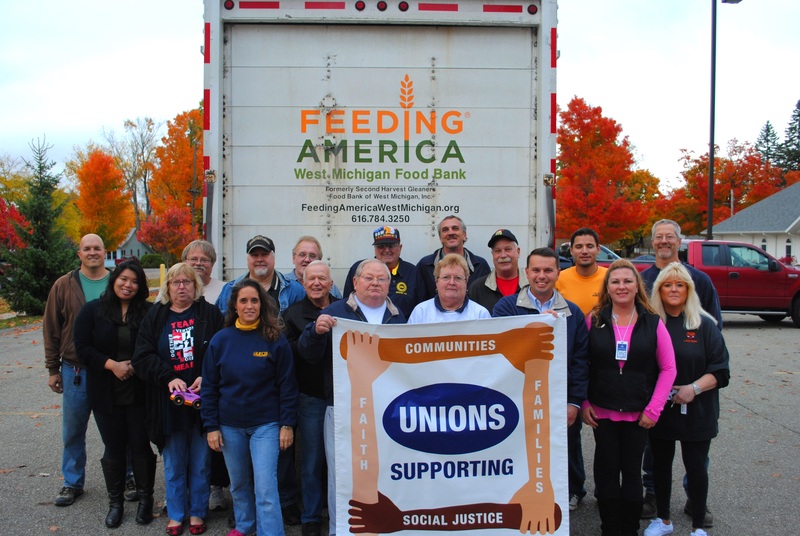 In 2014, the KICLC was able to distribute an incredible 64,927 pounds of food through its food truck program, with union members and retirees volunteering their time to distribute it on the third Thursday of each month. Every month, March through December, the KICLC food truck was parked at a different church or food pantry around the Grand Rapids area, allowing for a wide distribution area and more families being helped. Feeding America West Michigan reports that 2014 was a record year for food distribution, with more than 26.5 million pounds of food being distributed at food pantries, soup kitchens, after-school programs, senior centers and food trucks like the one the KICLC sponsors, all across west Michigan and into the Upper Peninsula. “So many of our clients are working hard, maybe one or more jobs, and yet they’re simply not making enough money to meet all their basic needs,” Estelle said. “An injury, a job loss, education costs, a divorce — these are things that can and do happen to people from every background. The KICLC will continue to partner with Feeding America in 2015 to bring food trucks to even more neighborhoods across the greater Grand Rapids area. This entry was posted on January 8, 2015 by WMALC in Community service news and tagged church, Feeding America, Grand Rapids, wages.